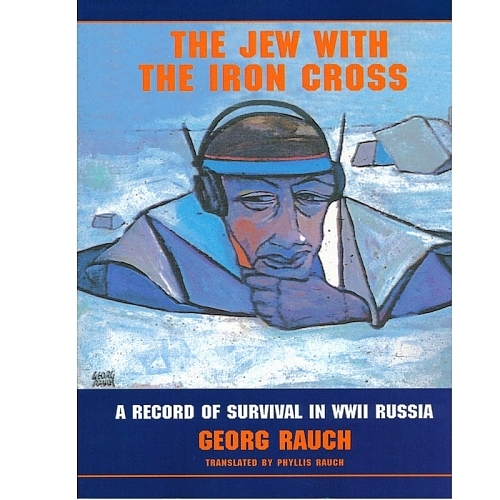 The Jew with the Iron Cross: A Record of Survival in WWII Russia, by Georg Rauch (iUniverse, Inc., 2006). As a teenager, author Georg Rauch helped his mother protect the Jewish couples hidden in their Viennese attic. Officially classified as one-quarter Jewish, Rauch is drafted into Hitler’s army and sent to fight for causes he detests. Rauch finds himself near death many times, but his talents as a shortwave radio operator, chef, and even harmonica player all play a role in his survival. 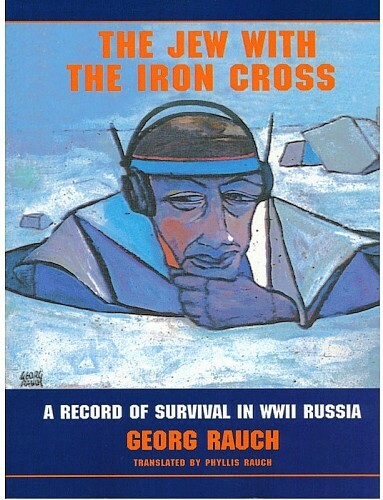 Captured by the Russians in the autumn of 1944, Rauch faces brutality and near-fatal illness as a POW. Recruitment for Russian espionage saves his life this time, but his story isn’t over yet. Based on eighty letters sent home from the Russian trenches, The Wooden Spoon is a riveting tale of paradox and survival during World War II. Georg Rauch was a successful professional artist who exhibited extensively in Europe, the United States and Mexico. Rauch and his wife, Phyllis, made their home overlooking Lake Chapala in the central highlands of Mexico for more than thirty years. Want to learn more about this very interesting artist?